Saying that MBL makes audio equipment almost misses the point. Even in the rarefied air of audio's high-end, MBL is something different again. Said another way, there are good speakers, there are great speakers, there are supercalifragilisticexpialidocious speakers. And then, beyond that, there's MBL. It's a thing apart. And no, I'm not saying that MBL makes the best sounding speakers. That's absurd. They do sound very good (on average), and their top-line models sound fantastic. It's just that there is simply no good way to compare what you hear out of an MBL with ... well ... any other kind of speaker. It's different. Altogether so. Of course, speakers are only part of what some of these top shelf European audio companies are putting together these days — MBL makes amps, preamps, tuners, CD players, and more. It’s a lifestyle package, if you will, where everything matches and everything is made to work optimally with everything else. In an industry where mixing and matching vendors can result in … unexpected … results, well, let’s say that there’s definitely a market for a company that sells “the everything bagel”. Speaking of which, MBL introduced a pair of new amplifiers into their entry-level Corona line — say hello to the C15 monoblock amplifiers ($25,000/pair). The C15’s beauty runs far below its smooth aluminum surface. MBL has implemented their LASA-technology (Linear Analog Switching Amplifier) and as a result has a homogeneous characteristic of THD throughout the frequency range and also the frequency response is load independent. The output power range is totally unaffected by distortion therefore each instrument at each volume level will be played genuinely. Thus, a perfectly balanced sound in quiet passages is guaranteed as well as then, when turning up the volume. The new amp always remains calm and confident, and with its 500 W (4 ohms) it can comfortably drive any loudspeaker load. To get to the big room, you had to step through the Looking Glass, pass the thing with the hookah and somewhere before you get to the Red Queen’s Court, you found yourself seated between a pair of flux capacitors. Whoops, sparked a literary buffer overflow error, there. Anyway, the 101 X-Treme ($263k/pair) was calmly opening a Stargate to a Land Before Time. Crap. Looks like I’m gonna have to reboot this thing. Suffice it to say this: I’ve never head anything like this before. If I had a house the size of Downton Abbey (and could afford the servants to run it), I’d have a pair of these, fully kitted out. Of course, I’d also have a home theater room set up like the bridge of the Enterprise, but that’s another story. I bought Corona line on August 2012 in Thailand, but since I bought the corona line have very much trouble. Cd gave sound ugly crack. The Head office of Germany said board of cd have problem, more the slot insert cd many times cannot eject or hang. Very had problems. So If you want to hear the sound please hear my vote before. And from that time I not have receive service from them 6 months past. So my system from now wow I cannot hear music from them. So how do they compare to the Magico Q 7’s? Neither were in optimal setups, but the faults with the MBL were easier to overlook. Well, IMHO I’ve heard the next model down from the MBL Xtremes & the Magico Q5’s the model Jon Valin gushed over last year. MBL complete system, circa $263K @ RMAF @ length and the Cap audio fest yr before vs the Magico’s thru Manley mono, reference series in Va, on 2 occasions, extended in store listening sessions. The MBL’s are in another galaxy compared to the Magico’s!! End story. The only nit, I can find with the MBL is that the soundstage sounds realistic on all musical (cd) selections I heard on it. A euphonic ‘coloration’ of sorts to my ear. 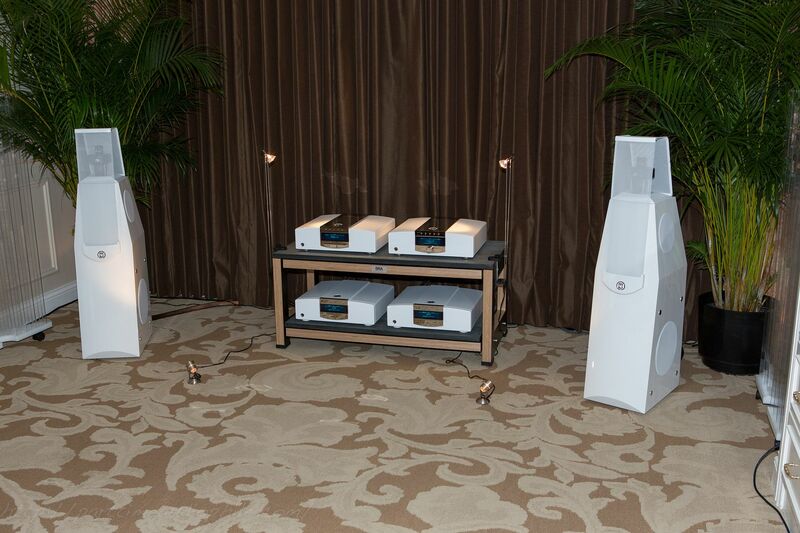 So perhaps what I am saying is that perhaps the top line speakers the MBL’s probably outdo the Q7. What I think maybe interesting is a comparison of the Xtremes vs Alan Wolfe’s horn system, that TAS wrote up some time ago. Extreme High end…stupid (good) extreme, dood! 😉 Probably didn’t answer your query, but ?? ?